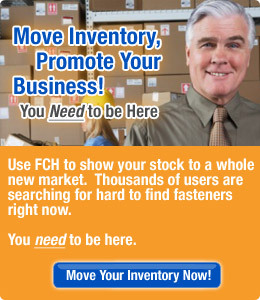 "We think very highly of FCH and it's a good way to get rid of old inventory." Nylon Nail-In Anchors available in the following materials. Nylon Nail-In Anchors available in the following US/Imperial sizes. Nylon Nail-In Anchors available in the following Metric sizes.